To understand the reasons for its ‘failure’, a quick look at its evolution is necessary. Communism as a theory was a result of the brutal working conditions in the English factories during the Industrial Revolution. Men, women and children were being massacred through 18 hour workdays seven days a week, in hazardous conditions. Society and families in the newly evolved ‘urban areas’ had broken down (except, of course, for the factory owners). This prompted Karl Marx to postulate a wonderful response in his seminal work Das Kapital - the Proletariat Revolution - which was a revolution of the industrial working classes against the newly-rich bourgeoisie. But for all its wonders, communism was still a theory. It was turned into a ruling ideology with Vladimir Lenin’s communist takeover of royal Russia in 1917. The Romanov dynasty was murdered (removed), and communists took over through a series of brutal machinations, internal and external. That grew into the Soviet regime. Then came the Chinese communism with Mao Tse-tung unfurling the PRC red flag in Beijing on 01–10–1949. Both the Soviets and Chinese tried to spread their influence worldwide, the Soviets succeeding to a greater extent. And today, communism is in retreat worldwide. Industrial versus Peasant classes - Karl Marx’s theoretical construct was based on revolution from the workers in industries of Europe, and had no mention of peasants as the prime movers. So, the Chinese communism evolved very differently from the Soviet one. And ultimately both USSR and China went their separate ways (in the 1960s). Had they not, the world would’ve been starkly different today. It was far easier for the USA (and CIA) to take them head on as separate entities rather than as one monolithic force. This was a strategic reason for failure. Soviet brutality in Eastern Europe - The puppet regimes across eastern European nations were no role models of egalitarianism at all. People who earlier supported the communist thought were thoroughly disillusioned. The incidents post the Berlin Wall collapse bear testimony to that. Communism lost its ground support. And Mao was no less a tyrant. He massacred 2 million landlords in 5–6 years of taking charge, and distributed their lands to poor peasants. And then, he massacred them to take back the lands for state-directed agricultural communes! This was followed by the disastrous industrial revolution attempts, and the Great Leap Forward (actually, backwards) and then the mass terror of the Cultural Revolution. The future capitalist reformer Deng Xiaoping was born in this tumult. This was a political reason for failure. Fear of correct reporting - Capitalism in a democratic setup has an inherent advantage over communism - a government officer reporting bad numbers does not run the risk of getting killed by the Party bosses! Both in the Soviet Union and China, officers down the line, out of sheer fear, often continued reporting good numbers (for crop production, industrial output etc.) when the reality was different. By the time they got caught, the damage would be done to the system. Beyond a few years, you cannot run an economy with fudged numbers. People cannot eat glorious-sounding account numbers, they need actual food. Many suspect that PRC reports a lot of fudged data even today! Oil price collapse and Afghan blackhole - The Soviets were masters at cutting-edge atomic weapons and military, though they lost the space race to the Americans. A prime source of earning was oil exports, and when oil prices collapsed in 1980s, the Soviets were hit hard. They borrowed heavily from German banks to finance new explorations in difficult oil-fields. But this financing stopped abruptly. 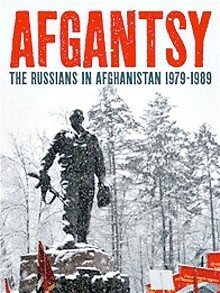 At the same time, the Soviet intervention in Afghanistan (1979 onward) backfired badly. All this devastated them economically, made bread scarce, and Russians queued up for bread at (state) shops. The Soviet regime went practically bankrupt, forcing Gorbachev to open up through glasnost and perestroika. It never worked. Boom. The Americans like to peddle a different version - the Reagan admin’s military build-up caused the collapse. That doesn’t seem to be the case. This was the economic reason for failure. China’s abrupt capitalist u-turn - Deng Xiaoping learned his lessons well from the 1960s, and took China on a new route - Socialism with Chinese characteristics. Had he not, the PRC would have collapsed likewise by the 2000s. Modern China’s rise, thus, was a successful failure of communism! Ha ha. Other minor regimes - Cuba, Vietnam, North Korea all have their locally adapted versions of communism. Most have not been able to rise as world powers either due to small size, or poor per capita incomes, or lack of heft. Add up all this, alongwith the massive private capital-driven global economy since the 1980s, and you get what you see today. But the future may be quite different with the undercurrents and challenges prevailing today. Excellent write-up sir. Continue writing and educating. It is a very informative blog. In back-sight we are seeing the dark truth of communism. And present condition of China & Russia and other communist nation. Dear Sir, I feel the points mentioned here do not describe why Communism as an economic theory is a failure. This post articulates why Communism failed at a global level due to power going into the wrong hands. I feel that Communism as a theory carries the seeds of its own doom because it tries to go against the law of nature. The ultimate aim of Communism is equality for all. I feel that the world itself is not designed to be egalitarian and the idea of an egalitarian society is only utopian. As long as humans exist, there shall be inequality. The world was and is still governed by the principle of 'survival of the fittest'. That is how homo sapiens sapiens emerged victorious over all other species. The drive to distinguish oneself from others is what keeps this world ticking. What Communism offers is a very unstable state of affairs, however satisfying it might sound. As theory communism is considered as individual well being.when I say well being it not mean that only economic well being, as a egalitarian society it also mean that free from all false consciousness and nonsense that a society create over hundreds of year to control the proletariat(the pillars -farmer,labour etc).But if we see the spectrum of communism in past we will observe that it is the most terrible society where individual is deprive from there basic need.There are killed, murdered , raped etc in the name of social well being. Now the question is why they faild?? 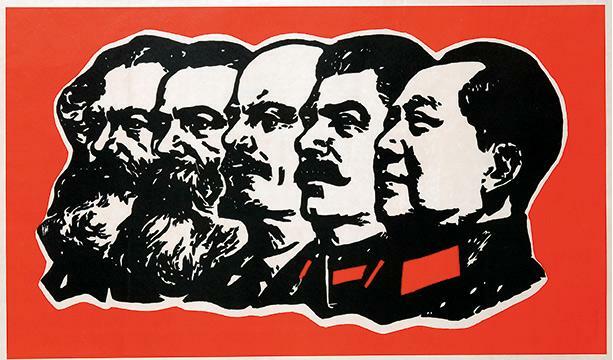 china is no more a communist nation .Its economic policy is state owned capitalism. Communism is that kind of philosophy which is practically not possible.As we have seen that the countries like China and Russia were collapsed totally and they made a new kind of communism which is favourable for them. The 3rd point you mentioned about "Reporting the correct numbers" seems to be a biggest drawback of Communism Philosophy for economy. By and large communist philosophy can only be fit for ancient society of humans where there is no class , there is no division of labor and surplus . Sir i quite well satisfied from your point ..